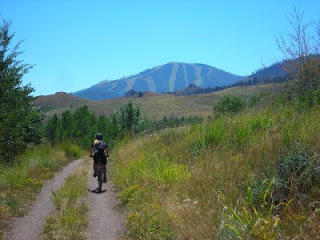 Work took me to Ketchum, Idaho last week. It's about a 4-hour drive straight west of Driggs, up-down-and-around a few mountain ranges. Ketchum is one of my favorite places on the planet, and Joanne's too. So, we loaded the bikes and she came along to blend a little play in with the work. It was epic. 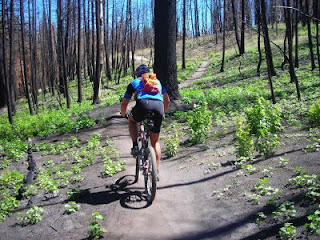 This photo shows Joanne grinding up Boundary Creek trail (it was steep, even by our standards!) 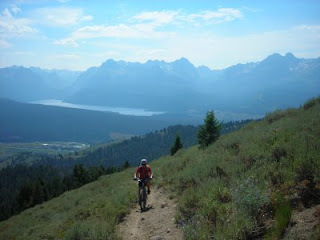 near Stanley, Idaho, about 50 miles north of Ketchum. 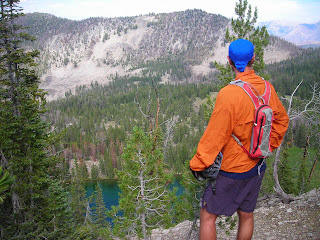 Redfish Lake and the Sawtooth Mountains are in the background. 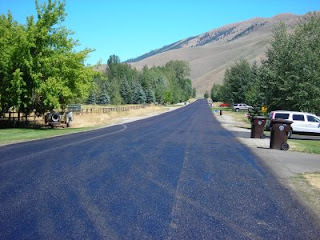 Ketchum is the town adjacent to Sun Valley ski resort, in the Wood River Valley of central Idaho. I've been going there nearly every summer for forty-two years, and it feels like a second home to me. I'm even a distant relation to Averil Harriman, who founded Sun Valley back in 1936. It's a recreation mecca with world-class fly fishing, golf, ice skating, tennis, horseback riding, hiking and especially mountain biking. Paved bike paths lead directly from town to canyons in every direction, where sweet dirt singletrack takes you into the backcountry. Now we're talking. Fires raged around Ketchum and Sun Valley late last summer, threatening the towns as well as the ski area. Crews were heroic, saving most of the forest and nearly all structures. There was evidence of the burn areas last week, but it was inspiring to see the regeneration already occuring. 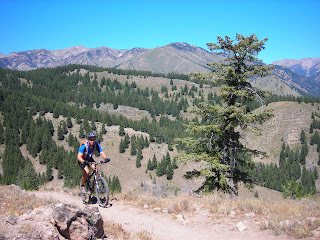 Approaching the top of Chocolate Gulch, possibly my favorite ride on earth, with the rugged Boulder Mountains in the background. We've taken lots of good friends and family members on this trail over the years, and it just keeps getting better. At 9,300 feet, overlooking Cascade Lake and the White Cloud Mountains at the top of Boundary Creek Trail...and looking forward to the downhill! 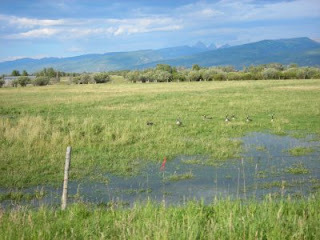 Meanwhile, back in Driggs: the geese are growing restless, the nights are getting cooler...can fall be far away?